Jim White has named the one Manchester United who could very likely be sold this January. Ole Gunnar Solskjaer has come into his interim managerial role at Old Trafford with a thoroughly detailed plan – one which revolves around fast-paced attacking football. The Norwegian’s philosophy has been the complete opposite of what former gaffer Jose Mourinho used at the Theatre of Dreams, as the Portuguese tactician preferred a far more defensive park-the-bus approach. Naturally, several players that were brought in by Jose do not fit into Solskjaer’s renewed form of gameplay, and those less preferred squad members have been quite evident through Ole’s team selection in his first six games in charge. Sky Sports pundit Gary Neville recently pointed out how the likes of Romelu Lukaku, Juan Mata, and Marouane Fellaini have seen their game-time reduced drastically under the 45-year-old. 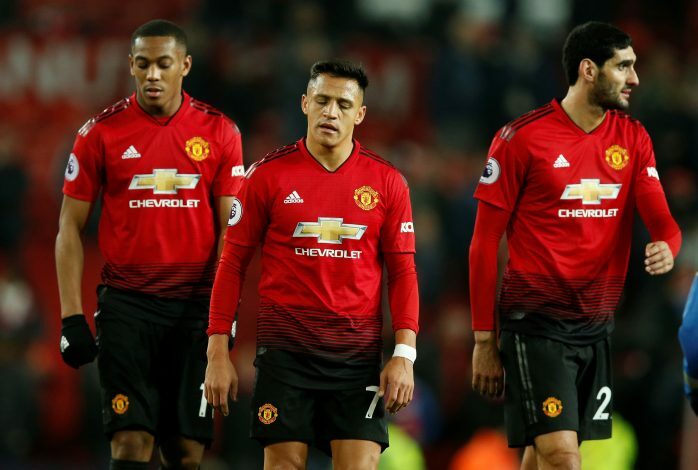 However, one of these players, along with a Manchester United academy graduate, could very well end up getting sold in the ongoing winter transfer window itself, according to talkSPORT presenter Jim White. “It’s now become apparent Marouane Fellaini can go amid talk Solskjaer is unhappy with his attitude,” revealed White, who has several journalistic connections in the game. This update, if true, is likely to be received well by the Manchester United supporters, who have never really managed to warm up to the Belgian international since his arrival under David Moyes back in 2013.